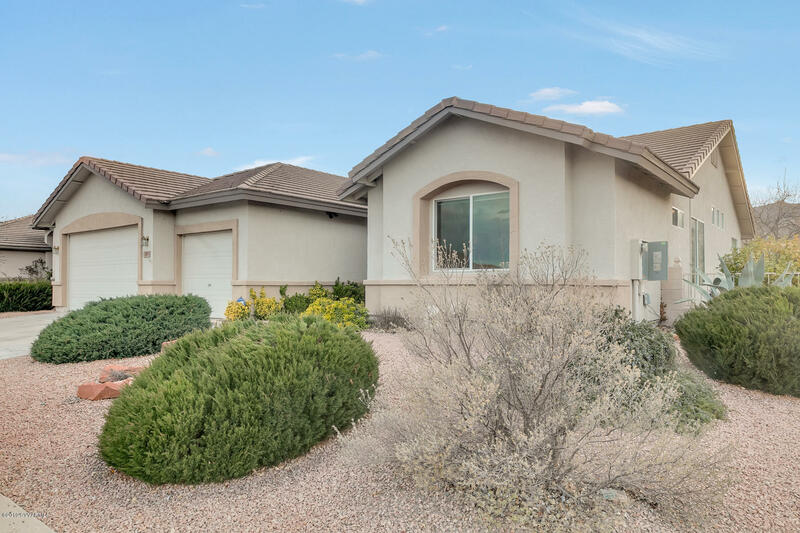 Located in the highly sought after Cottonwood Ranch subdivision, this 3bdm, Mesquite floor-plan offers vaulted ceilings, an open split floor-plan, with tons of natural light. Extra room in this model with the additional Arizona room. You'll enjoy entertaining in your upgraded kitchen with stainless steel appliances & granite counter tops. Enjoy the views of the Mingus Mts. from your beautifully landscaped backyard. Red Rock Views from the front yard. Property backs to open space which provides plenty of privacy! Kenmore Elite Washer and Dryer. 3 car garage provides plenty of room for your cars and storage.